Reports surfaced Wednesday night that Sen. Ted Cruz (R-TX) was “booed off the stage” at an event hosted by a purportedly Christian organization. 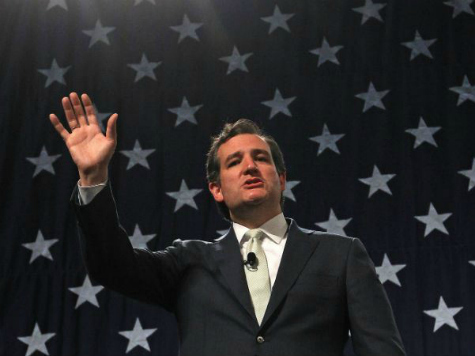 Cruz, the keynote speaker at the new “In Defense Of Christians” organization’s dinner in Washington DC, had offered the crowd–a number of whom were Christians from the Middle East, including Palestinian Christians–public support for Israel. After doing so, some members of the crowd booed at Cruz, and they persisted until he left the stage, noting their hatred and saying he can’t stand with them if they don’t stand with Israel. Because of the “bigotry and hatred,” Cruz said he had to leave the event.